Mental health is recognized worldwide as a major public health priority for the twenty-first century. Different actions are needed, including developing or strengthening national mental health information systems, based on standardized indicators that allow national and international monitoring. In 2008, the national Centre for Disease prevention and Control of the Italian Ministry of Health and the Mental Health Unit of the Italian National Institute of Health (INIH) jointly launched a mental health information system named SEME (an Italian acronym meaning ‘mental health epidemiological surveillance’) based upon data collected from trained psychiatrists working in 22 selected sentinel community mental health centers distributed across Italy and covering a total population of 1,941,853 inhabitants, in order to collect and report site-level information on first-contact patients suffering from specific severe mental disorders (schizophrenia, schizophreniform disorder, schizoaffective disorder, delusional disorder, bipolar I disorder, anorexia nervosa, major depressive episode with psychotic symptoms or suicide attempt). Strengths of the system are the high reliability of diagnoses and the use of a web-based technique for data collection with data entry forms designed for ease of completion. During the first year of implementation of this system, a total of 343 first-contact patients met criteria for one of the severe mental disorders under surveillance. 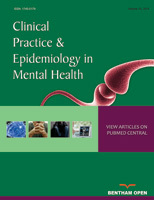 As the system includes standardized instruments to measure psychiatric symptoms and psychosocial functioning, it may facilitate health services research based on longitudinal measurements aimed at evaluating the continuity of psychiatric care and the effectiveness of innovative therapeutic and rehabilitative programs. Keywords: Community mental health services, first-contact patients, incidence, sentinel surveillance, severe mental disorders. © Gigantesco et al. ; Licensee Bentham Open. * Address correspondence to this author at the Mental Health Unit National Center Of Epidemiology, Surveillance And Health Promotion Italian National Institute Of Health Viale Regina Elena 299 00161 Rome, Italy; Tel: + 39 06 49904200; Fax: + 39 06 49904182; Email: angelo.picardi@iss.it# The SEME Collaborative Group includes: National Coordinators: A. Gigantesco, I. Lega, A. Picardi. Local Coordinators: D. Armellini, R. Buoninconti, G. Canolintas, E. Caroppo, L. Cenci, A. Cicogni, G. Concari, M. Corsaro, G. D’Aquino, M. D'Amico, M. Fagioli, V. Florio, F. Foti, O.M. Galvano, K. Lobaccaro, V. Malta, L. Marchiaro, C. Marson, F. Mazzi, C. Mela, G. Monopoli, P. Mostarda, F. Nenzi, F. Oggiano, A.M. Pacilli, A. Pierò, R. Pollice, C. Queroli, D. Renzetti, S. Rosi, G. Salomone, S. Sanavio, A. Scinto, F. Sibilla, C. Tarquinio, R. Vari, K. Zanella. Mental Health Department Directors: G. Bianchin, P. Boccara, A. Cassin, T. Celani, A. Conca, M. De Michele,W. Di Munzio, S. Domenichetti, M. Donato, L. Ferrannini, A.M. Ferro, S. Frazzingaro, D.A. Guarino, A. Lanteri, D. Leccisi, P. Nascimbeni, R. Roberti, F. Starace, M. Zoccali. Community Mental Health Center Directors: A. Bagalà, L. Califano, M. Casacchia, G. Cesari, M.T. Daniele, V. Greco, M.P. Lorenzetti, A. Malinconico, M.C. Melloni, C. Merola, F. Risso, G. Salce, D. Semisa, G. Servetto, A. Tanini, E. Toffol, M. Vaggi, F. Zirilli. Research Assistants: D. Cattaruzzi, F. Chierici, R. Filipponi.